Enzo Maiorca is the Italian free diver who, after breaking the world record on many occasions, left a deep imprint in the history of this speciality. He broke the first world record in 1960 in Syracuse, when he descended 45 metres deep; and the last one at the end of his career, in 1988, still in Syracuse when he dived to a depth of 101 metres. His performance proved that the current theories on underwater physiology were unfounded and showed the actual possibility of exceeding 50 metres. Thanks to his temperament, his simplicity and spontaneity, he won the affection of many admirers and fans who supported him for 28 years, throughout his entire career. During this period, the world of deep water free diving changed radically. During the early years, records were broken in an organisational context that consisted of volunteers, friends and collaborators, in accordance with regulations and in the presence of federal judges. However, the means available were very limited. Over the course of the years, the power that records acquired through the media attracted financially influential sponsors, and the use of techniques belonging to the Italian Navy triggered interest that was at a completely different level compared to the origins. Ferraro stood side by side with Maiorca until the beginning of the 80s, first as Judge, then as Technisub owner, providing him with organisational support but never with financial support as Maiorca would not accept a penny from him. 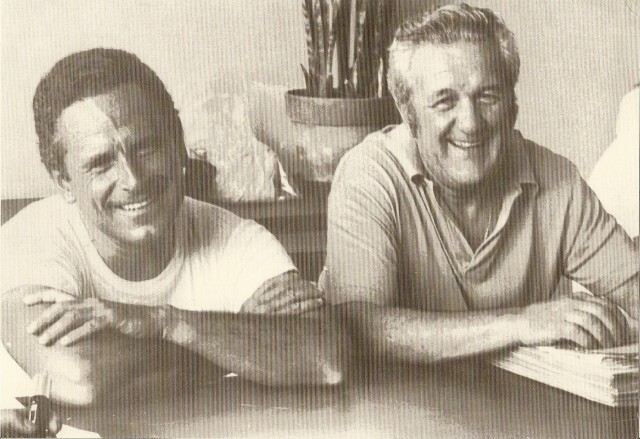 Theirs was a strong friendship, which remained intact over the test of time until Ferraro passed away.